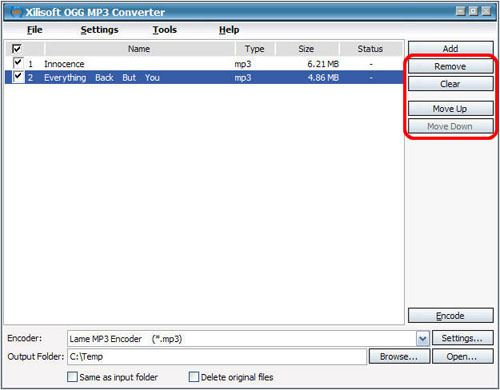 Xilisoft OGG MP3 Converter supports converting MP3 to OGG and OGG to MP3. It can also convert between WAV and WMA. 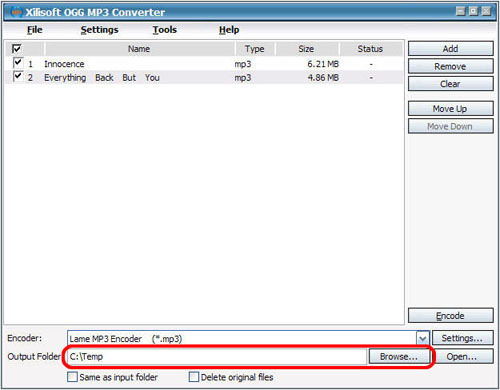 The following guide will show you how to convert between audio formats. Use "Add" button on the main window or "Add" option in the "File" menu to select the files you want to convert in the dialog box that opens. The selected files will be displayed in the file list as below. Click "Remove" button to remove the highlighted files and "Clear" button to clear all the loaded files. You can also remove or clear files by clicking "Remove" or "Clear" option in the "File" menu. Select target file format that you want to output. 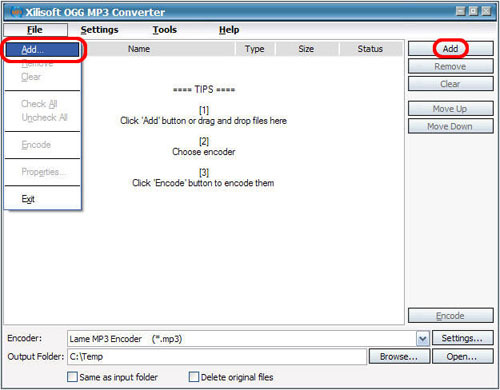 Highlight your loaded file first and then select output format from "Encoder" combo-box. 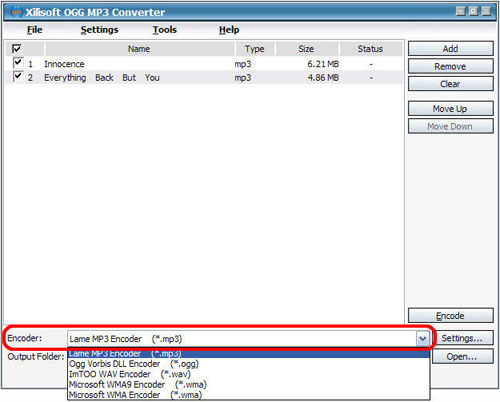 For example, if you want to convert original audio file to MP3 format, you should select "Lame MP3 Encoder". To set the folder that you want to save your target file, you may select the output folder by clicking "Browse..." button or directly enter a path in the "Output Folder" box. "C:temp" is set as the default destination folder. 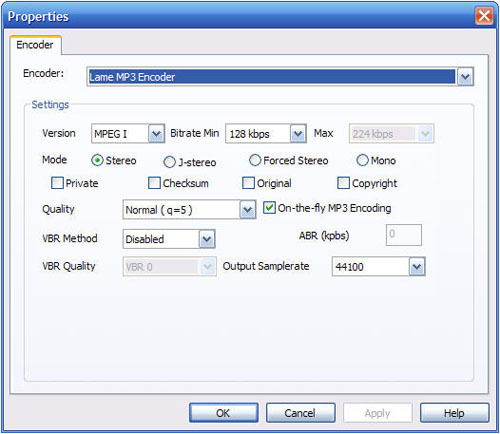 You can adjust some special settings for your conversion by clicking "Settings…" beside the "Encoder" combo-box, such as "Bit Rate" and "VBR". As the last step, just click "Encode" to start your conversion. You can see "OK" under the "Status" column which means you got a successful conversion. What to do now? Just enjoy your music.